We are pleased to inform you that our upcoming issue for the month of April, 2019 is announced and the last date for submission is 25th April, 2019. 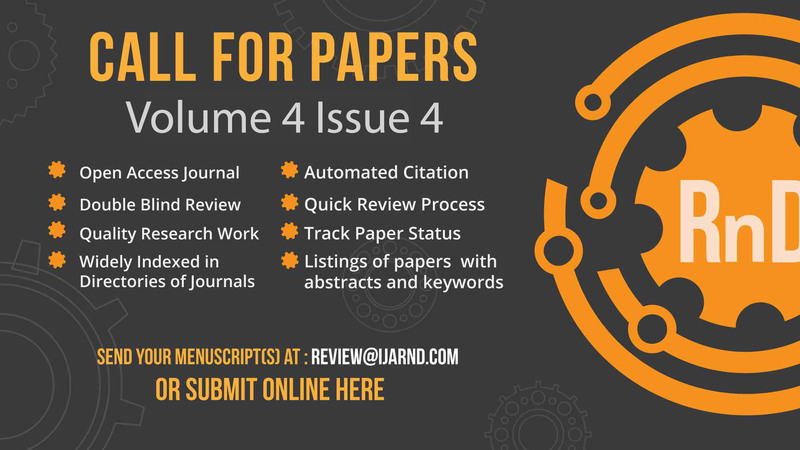 We would like to invite you to contribute your research work in the form research papers, review papers, dissertation, technical notes and other formats for publication in IJARnD. The journal covers all areas of education including but not limited to Engineering Sciences, Medical and Pharmaceutical Sciences, Clothing and Fashion, Grammar and Literature, Language and Speeches, Legal and Social, Media and Mass Communication, Management Studies, Travel and Tourism and several others. 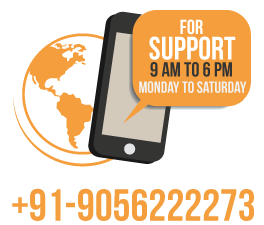 If your article somehow adds to the current information about the topic and is formatted with correct references – then it is very likely that your paper will be accepted and published. We publish research articles, review articles, and technical notes which are reviewed within one week of submission. Once the peer-review process is completed, copyright transfer and maintenance fee is received, the accepted papers are published in the ongoing edition immediately. The articles should be in the proper format as in the sample format. Authors are invited to submit their paper online or through e-mail at [email protected]. Submissions must be original and should not have been submitted or published previously anywhere else.